With spring already here, it’s that time of year where we start thinking of spring cleaning. Ugh… it’s the last thing any of us want to do. It’s even more of a chore when you think of spring cleaning with kids! Sure, they moan and groan and it might seem easier to just do it all yourself. But I’m here to tell you that spring cleaning doesn’t need to be a nightmare, even with kids. In fact, it can be quite fun to do it as a family if you approach it correctly. In this post, I’ll be sharing my best spring cleaning tips. The worst thing you can do is not involve anyone during spring cleaning. Barking orders at kids regarding something they don’t even want to do is pretty much the best way to get lots of eye rolls and scoffs. That’s not fun for anyone, especially kids. So what to do instead? 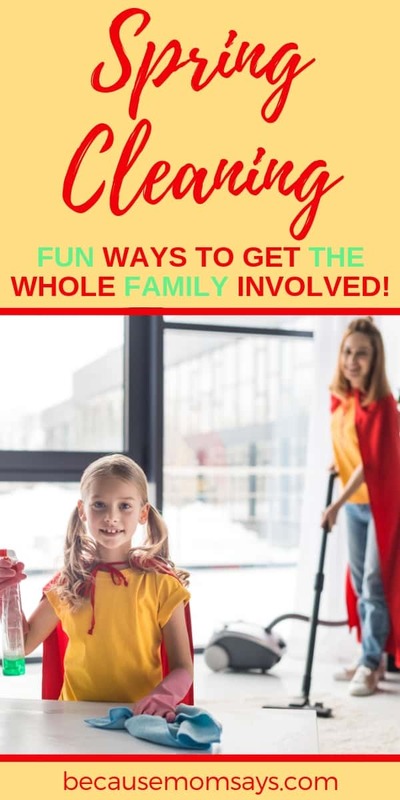 Plan out your spring cleaning in advance and involve the entire family! Instead of just waking up one Saturday and telling the kids to scrub a floor or dust some random surface, let them know ahead of time what is coming and when. The shock factor rarely works in your favor. Check out these Professional Cleaning Hacks that are great year-round! When you sit down to plan out everything that needs to get done, make it a family affair. Decide who is best suited for what jobs, what everyone enjoys doing the most, and see how you can best work together. There is a good chance that there are certain jobs that one kid may hate while another kid doesn’t mind it all that much. Make a Spring Cleaning list! Try using a dry erase board like this one to make a chart showing what each family member will do! This is also a great time to set expectations. When will this be happening? What rules should you have? Are you going to spend all day cleaning or spread it out over a few weeks? Keeping everyone on the same page is the best way to set yourself up for minimum push back in regards to spring cleaning. When you can, utilize teamwork and get everyone working together. I mean, I sure don’t like scrubbing toilets alone. It’s more fun when someone else is scrubbing the sink while we jam out to some dance tunes or something. Do the same when spring cleaning with the family. Get them working together instead of splitting everyone up to be miserable labor slaves. Okay… that might be a little dramatic. But I think you get my point. When possible, see where you can buddy up and use teamwork to get more done. This also just makes the spring clean up more fun. There are a number of ways to go about this, but the point is to use teamwork and work together! It’s no secret that kids hate cleaning. Spring cleaning is no different, either. They will whine and complain the whole way through if you’re not careful in the way you approach this. A great way to get kids excited and involved is to put together some sort of reward system. You can even take a chore chart and blow it up on a larger scale. (Think March madness brackets!) When you know what each person is going to be responsible for, make chore charts and list out each task. Then when they complete that task, they can put a sticker next to it. Each chore can count for points to get something special. 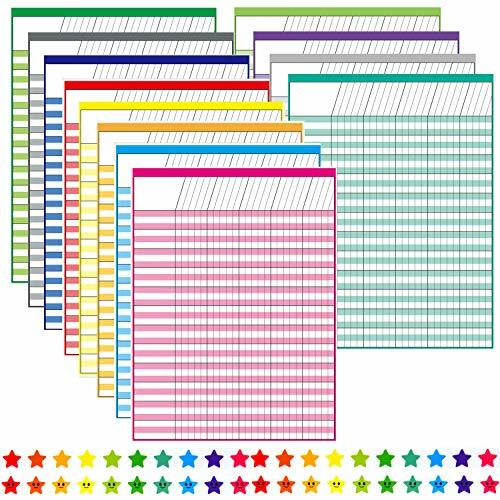 These dry erase incentive charts are PERFECT for this. They are completely customize-able to be used for anything you want and they’re super affordable! We use them in our house for chores, behavior, homework, and anything we can think of to use a reward system for. We actually even use these to track when bills have been paid! Seriously, these things are the best! Okay, so the older kids probably won’t get that excited over stickers… I mean, that’s little kid stuff, right? So instead, make it a game or a competition! There are a number of ways to go about this, but here’s a few ideas to get you started. The first way you can approach this is by making it a game show. Put a fun twist on that chore and the winner gets to rid something else onto another sibling. Or maybe they lose a needed supply for their next chore and need to be creative to come up with something else to use. Loving these tips? 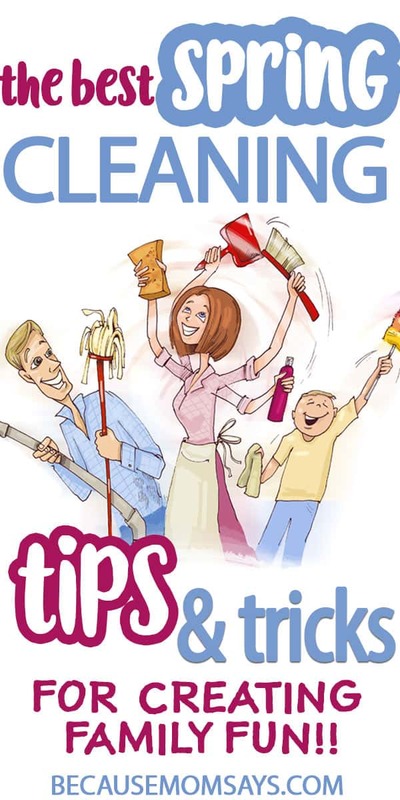 I have an entire guide on how to get kids to clean their room without a fight! If you’ve ever watched cutthroat kitchen, there are some really fun twists thrown in that could be applied to spring cleaning! Just make it fun so the day doesn’t turn into a nightmare. Okay so maybe that’s a little too “extra” for you and your family. I totally get it, I felt kinda silly even typing that one out – LOL. Maybe instead you have kids competing for a big prize. Whoever finishes everything first gets to pick a vacation spot, pick out a new video game, or do something really HUGE you’ve been saying no to. Think of what kind of incentives kids might respond to. Lastly is points accumulation. You can assign different sized tasks various points for completing them. Then when someone gets a certain amount, they can “buy” something with it. You can get really creative with this one… turning chores into a game and adding incentives can work great for kids. Use this as a starting point and see what you can come up with! You can even involve the kids and see if they have any ideas for incentives and prizes. When you’re overwhelmed by clutter, it can seem too difficult to start. These tips to declutter your home will ease the pain and stress for good! Lastly… celebrate when it’s done. Spring cleaning is a big job and spring cleaning with kids is an even bigger job. Don’t forget to celebrate as a family. Maybe that’s going out to dinner at a fancy restaurant you don’t normally go to or taking a road trip as a family, or even planning a cool vacation when summer starts. Maybe even you plan a trip where everyone gets to bring 1 friend (assuming your family isn’t too big). Just make sure to celebrate as a family after everyone has worked hard! Spring cleaning is hard, especially with kids, but having the right approach can make a huge difference. Getting kids involved and excited is a great place to start. But having fun, adding games and prizes, and then celebrating afterwards can make a huge difference. Some of the best cleaners I use are homemade! This Vinegar Cleaner recipe is good for a ton of uses! 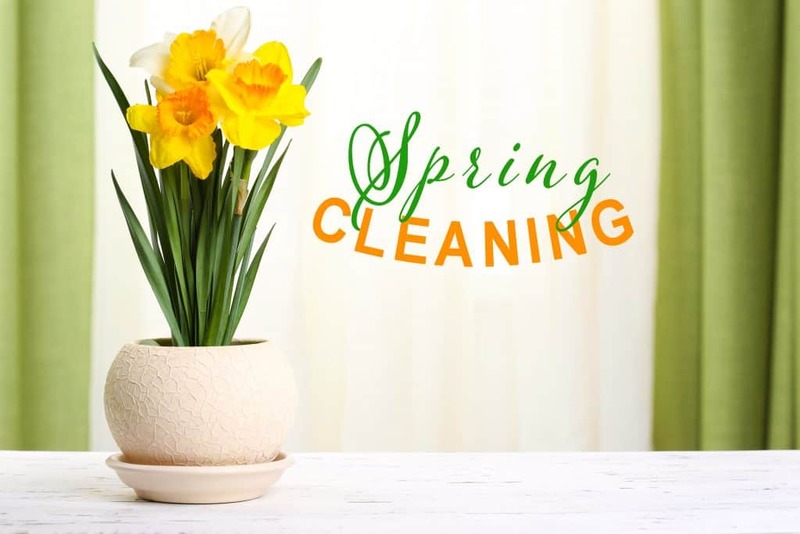 Tell me in the comments, what are some tips you have utilized for spring cleaning with kids?